The Chief Executive of the Northern Ireland Courts Service has confirmed that they intend to proceed with their rationalisation scheme and still plan to close Lisburn Courthouse. Thousands of people in Lisburn signed a petition opposing the closure, however, the Chief Executive, Mr Ronnie Armour, said that he expected his budget would continue to decrease and that as a result they needed to continue with the plan of rationalisation. Mr Armour will be briefing the Stormont Justice Committee and will propose that Lisburn Courthouse should close with business being transferred to Laganside Courts. 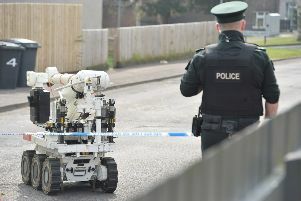 However, Mr Armour has said that further consultation will be held into the closure of Lisburn Courthouse before the Justice Minister makes a final decision on the matter.